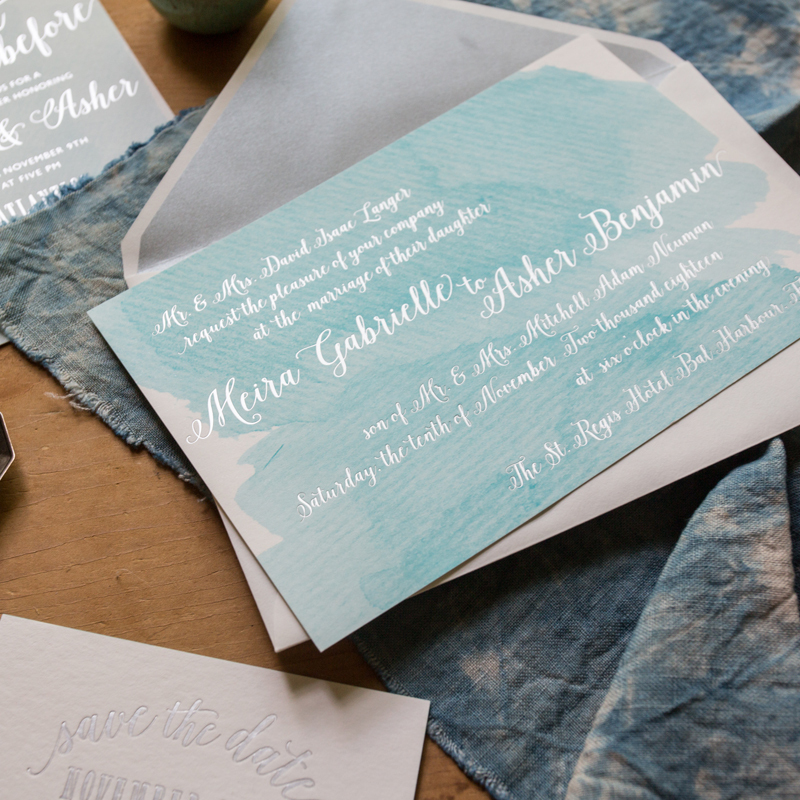 Smock is an artisan letterpress print shop, specializing in handcrafted eco-friendly letterpress wedding invitations and stationery, printed on their luxury bamboo paper (they were the first print shop in the US to offer printing on bamboo!). They offer a selection of exclusive calligraphy fonts, created by hand from renowned calligraphers. And the best part? Every little thing is totally customizable. Colors, fonts, motifs, layout, edge painting, pocketfolds, envelope liners... you name it, we can customize it for you. Smock prints the old-fashioned way, using antique cast-iron presses, the best paper, time, patience, dedication, and a whole lot of love. Smock invitations are sustainably printed with vegetable-based inks and solvents, and bamboo is the fastest growing plant on the planet, making their paper truly sustainable. Their print shop is 100% wind-powered, and they donate 1% of sales to environmental organizations.